A glimpse of our Friday morning. Counting with 10 Little Ninjas, a new, stealthy take on this familiar beloved rhyme. Vending capsules from the Shop Sweet Lulu. 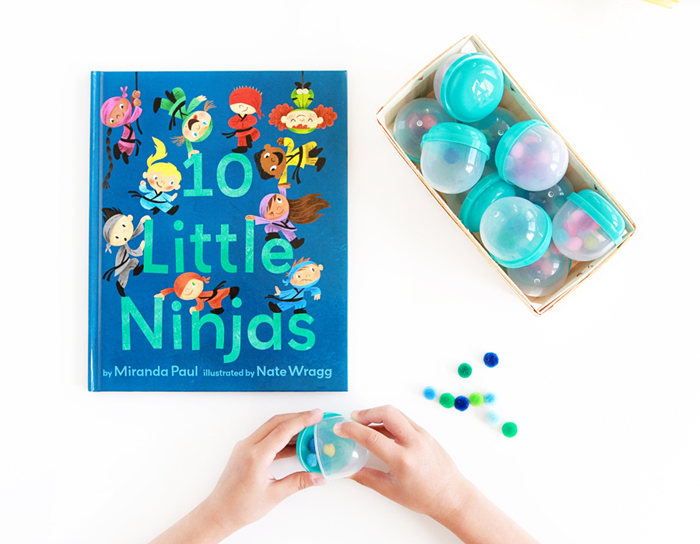 10 Little Ninjas was written by Miranda Paul, illustrated by Nate Wragg and published by Knopf Books for Young Readers.